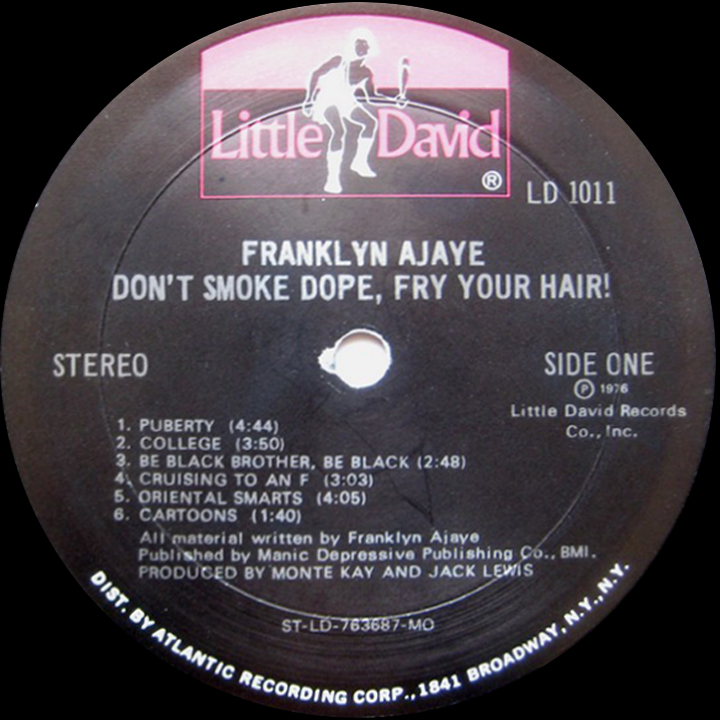 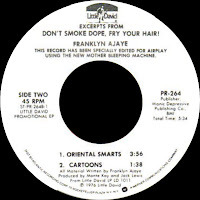 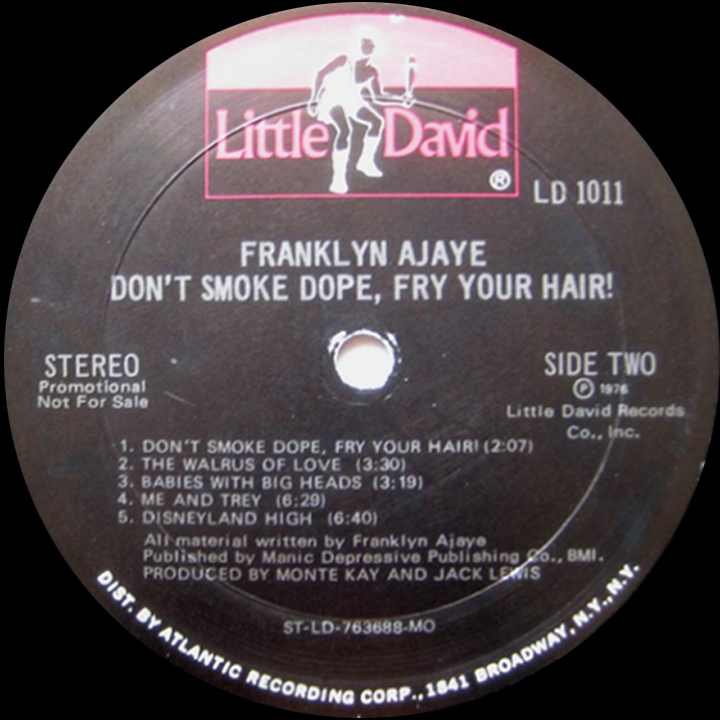 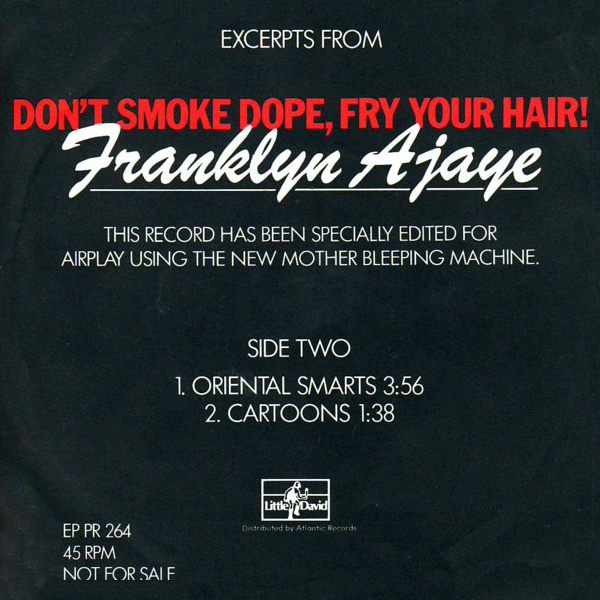 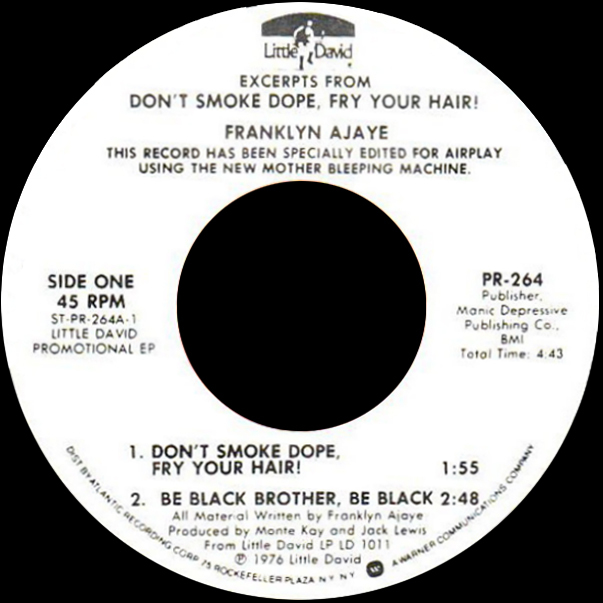 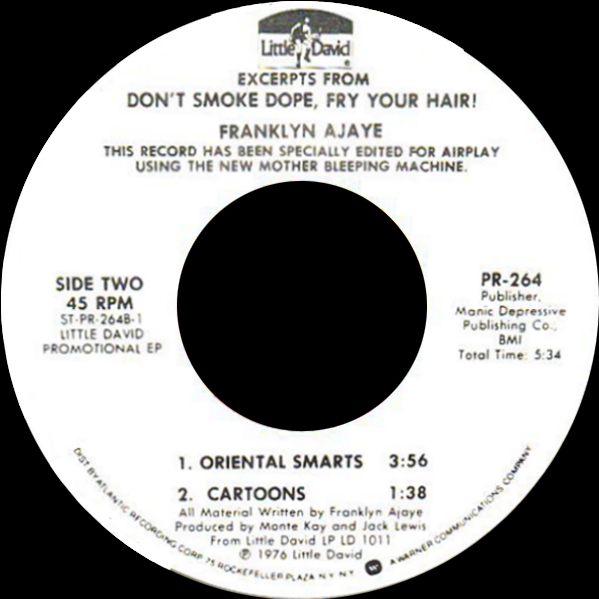 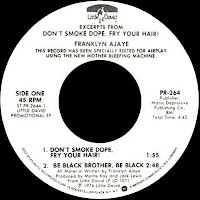 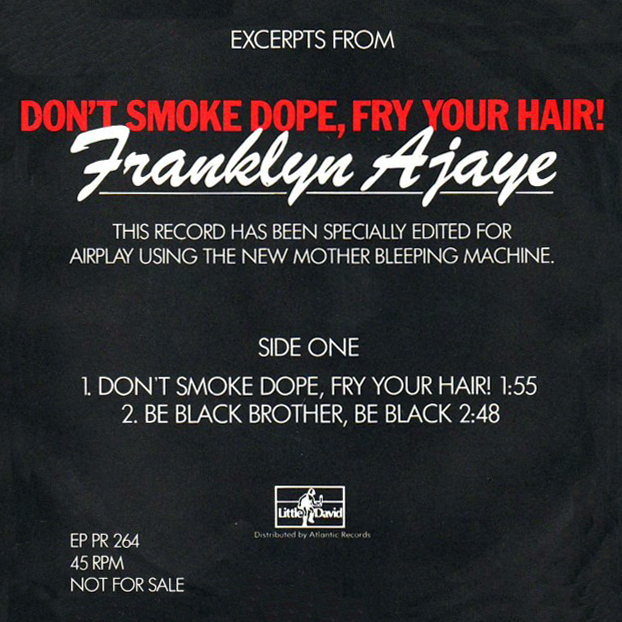 2 comments on "Franklyn Ajaye - Don't Smoke Dope, Fry Your Hair 1977"
I don't know if Dave Chappelle ever listened to Ajaye, or whether he hit on the same style by chance. 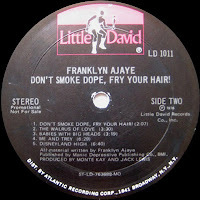 Franklyn ruled, even if he did giggle at his own material. 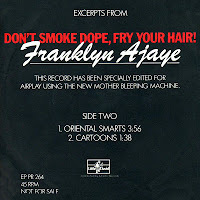 I enjoy comedians and comedic actors who break up during their routines, when "appropriate" (e.g. 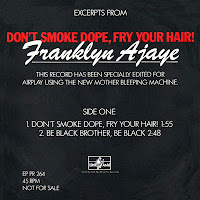 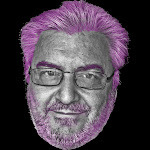 ad-lib). 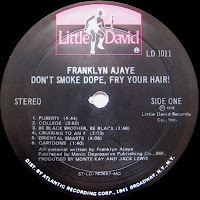 Must be hard to do material 100 times over and still laugh.